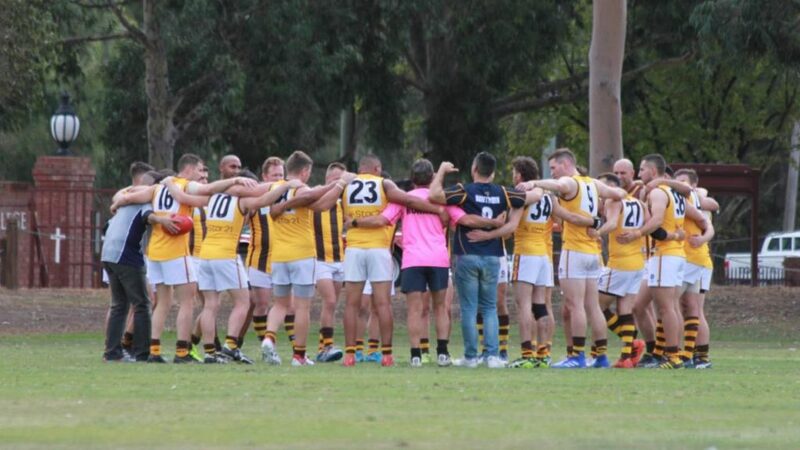 It was a warm start to the season for the Hawthorn Spartans who kicked off their campaign in Division Two on Saturday at Lyon’s Oval in Bulleen against Marcellin. And it was just the start they would have wanted, with the end result seeing them leave the field with a 39 point advantage over their opponents. The Spartans only ever felt a real threat by Marcellin at the start of the game, which saw them trailing, but after they took the lead, the rest was history, as they were too far out of reach for the home side. The win was made even more impressive by the fact that Marcellin participated in last season’s play-offs, while Hawthorn were only recently promoted, sending out the message to everyone in the league that they will not be an easy team to beat. Their success can be credited to the excellent off-season training course and the seven great additions made to the Spartans side. 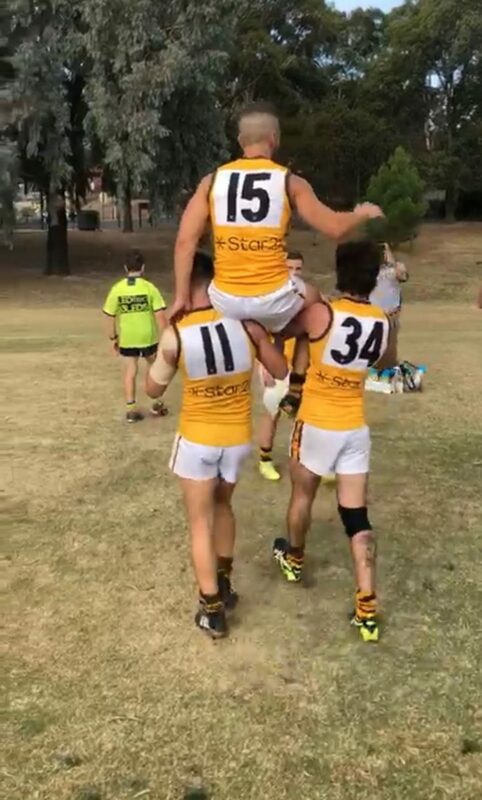 After the game was concluded, Hawthorn legend “Bubs” celebrated his 100 appearances for the club along with the rest of his teammates. "Bubs" being carried off the field by his teammates. This coming Saturday, the Spartans will play on home ground (Rathmines Reserve) against Old Geelong, with kick off at 11.40 am.